One of Arista Nashville’s newest artists and songwriters, Cam, has been traveling the country in recent months, bringing her lilting country vocals, mature song craftsmanship, and sunny performance style to radio stations. 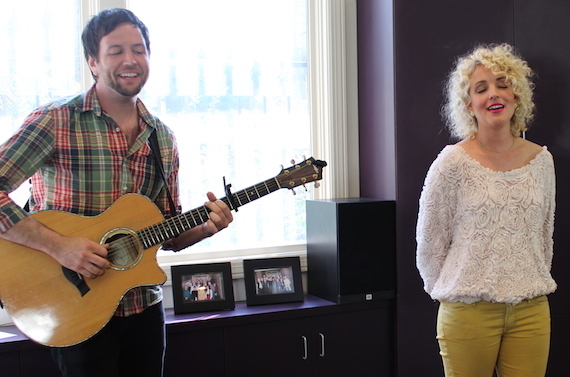 Today (March 31), Cam released her four-song digital EP, Welcome To Cam Country, which features her single “My Mistake.” The bubbly entertainer recently visited MusicRow‘s office to offer a music preview, including the tracks “Burning House” and “Half Broke Heart.” Cam co-wrote each of the tracks on the EP. Welcome To Cam Country was helmed by producers Jeff Bhasker (Bruno Mars, Taylor Swift) and Tyler Johnson (Ed Sheeran, Miley Cyrus) in numerous studios in Nashville and Los Angeles including The Castle, Blackbird Studios, and Quad Studios. Before securing her deal on Arista Nashville, the northern California native scored cuts on projects from Maggie Rose and Miley Cyrus, including “Maybe You’re Right,” which was on Cyrus’ 2013 album Bangerz. 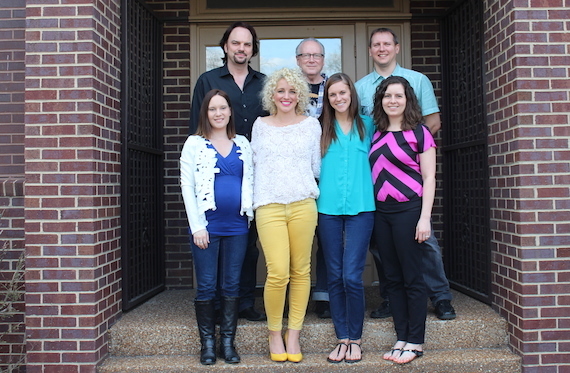 Cam visits with MusicRow staff.